Make-up is an individual experience to complement your natural beauty. Let us help you to transform your image by experimenting with new colours and ideas in the comfort and privacy of your own home. Use our experience to help you look younger and feel more confident. Our makeover sessions are priced from £45. 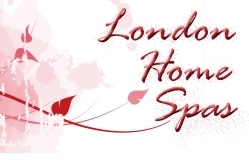 London Home Spas is a mobile beauty service operating in the Central and North London areas. Now you can enjoy the luxurious experience of a spa even when you cannot fit a spa visit into your busy schedule. Getting married? Why not have your make-up designed and applied professionally. There are packages which also include your bridesmaids with lots of big discounts. Beauty treatments make an excellent gift for a loved one or as a special thank you. Have you seen our Vouchers page?